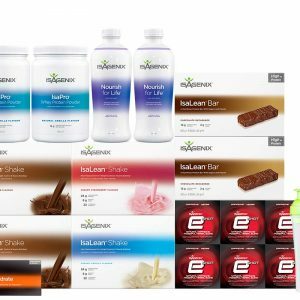 Developed by leading nutritionists and scientists, the Shake and Shot packs from Isagenix are designed to provide everyone from stay at home parents to elite athletes with the fuel they need to reach their performance potential. 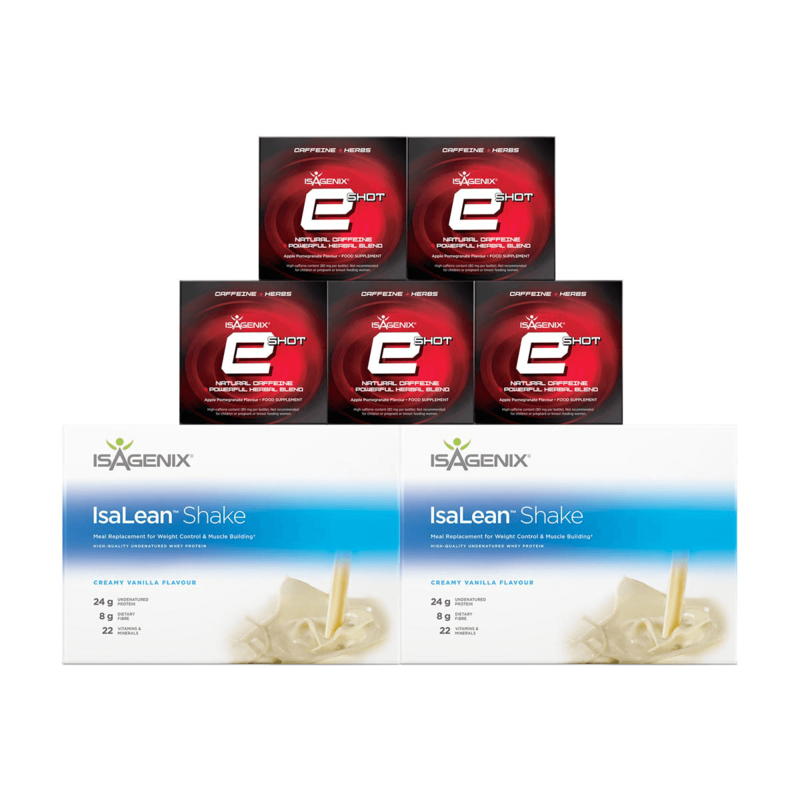 The Shake and Shot Pack from Isagenix boasts natural caffeine and powerful protein to help fuel your day to day activities and workouts. 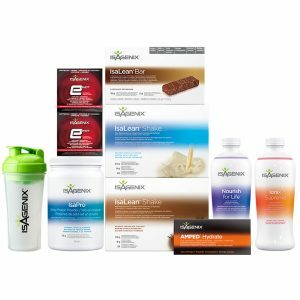 The Shake and Shot Pack from Isagenix is aimed at accomplishing two things: getting you moving and getting your muscles pumping. As a bonus, it also helps to fuel fat loss. By including e-Shots and IsaLean shakes into your routine on a daily basis (along with regular workouts), you will be helping your body lose weight and tone up. IsaLean Shakes, packed with 24 grams of high-quality undenatured whey protein, help promote lean muscle growth and maximize workout efforts. Developed to support optimal nutritional and fuel the growth of lean muscles, the Shake and Shot Pack can help you reach your full potential. If results and performance are your main concern, this is your pack! The natural, plant-based caffeine in Isagenix e-Shots feature plant-based, natural caffeine that helps boost mental alertness and energy. In addition to enjoying prolonged energy, e-Shots will help boost your energy and mental alertness. E-Shots also provide energy without the typically crash associated with energy drinks. Along with naturally sourced caffeine, the Shake and Shot Pack’s e-Shots contain potent adaptogenic botanicals that have been proven to increase focus, decrease the effects of stress, and help your performance reach new heights.